Tower 55 is an at-grade intersection of several major railroads. Each day 100 to 120 freight trains pass through this location. An additional 70 commuter/passenger trains per weekday pass by on the adjacent Trinity Railway Expresss. Due to the volume of trains, each train must come to a complete stop prior to crossing. The average wait time is 15 minutes, with 90-minute delays during peak period. 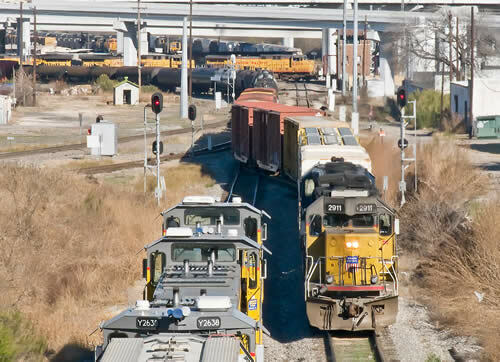 Long freight trains with lengthy wait times at Tower 55 are responsible for several negative impacts to the region. The purpose of the Tower 55 projects is to improve the movement of trains, within and around the current rail infrastructure, that converge on Tower 55.